Recas Wineries Company is one of the largest wineries in Romania. Founded in 1998 by two wine engineers and a businessman from the international wine industry, Recaş Wineries is among the most complete wineries in the country today. The passionate owners and the winemakers from three different continents, the dedicated people, the sunny hills, the fruitful vine and its own restaurant, they all place Recaş Wineries at the top of those wineries that are worth visiting internationally. Marius Pasca coordinates the tourism sector at the winery and has been working here for 24 years. Marius is the kind of person who regards wine as a lifestyle and enjoys it every day. Recaş area is well known for wine tourism. What can you tell me about wine tourism at Recas Wineries? MP: Wine tourism is a project that started 11 years ago and has improved over the years, and so has the quality of Recaş wine. We started with 3-400 people in 2003, and today we have about 15,000 tourists a year. At first, most were foreign. To our joy, today we also have Romanian tourists, especially young people. We promote wine as a lifestyle, as a partner, as an artistic companion. How do you see wine? MP: You cannot drink wine and be upset. I try to promote wine as a healthy lifestyle, and yet I drink it moderately. Wines, grapes and vines have survived all wars and developed along with mankind. Wine will keep us company from the day we are born until the day we die, at a wedding, a funeral or Christian initiation. Issues that we may often ignore because they seem normal, and that's a good thing. What do you have to offer to tourists who come to Recas Wineries? MP: We have four tasting rooms with different capacities, plus a terrace. We have a variety of programs based on how the tourists want to spend their time at the winery, that is, quick wine tastings or complete meals. We have a culinary team which I think can satisfy the most demanding tastes. However, we focus mainly on the technique of wine tasting and we do our best to teach our tourists the art of wine tasting. On a tour at the winery they can listen to the story of Recaş wine - facts and perspectives – they can visit every corner of the winery and see how wine is made. At the end of the visit, tourists can stop at the showroom which is at their disposal with liquid souvenirs. Have wine drinking habits changed over time? MP: Of course they have. My great joy is that we’ve started drinking sparkling wine in Romania, not just on holidays and the New Year, but simply to celebrate a regular day. Also during 2003-2005, if I'd said that I had five dry wines and a sweet one, Romanians would have killed me. Today, sweet wines can barely make it to the tasting room. And when it does, it is placed at the end of the table, next to a desert, as compared to previous years when it was used as such. What would you recommend other wineries that are only at the beginning of the road? MP: I think every winery should have a tasting room that reveals secrets, because wine speaks to consumers, we don’t make wine simply to drink it ourselves. What follows when it comes to tourism at Recas Wineries? MP: Our objective is to expand the tourism section, including the accommodation (with meals and tastings in the vineyard, recreation and outdoor activities). How would you describe a working day? MP: Every day will have to be as entertaining as any other day. I can’t imagine anything more agreeable than talking about the work of my co-workers, and it is a rather delightful story. Every tourist and fellow worker is a challenge - it's like a live broadcast. Every day spent at the winery will never be a wasted day and we owe respect to both wine and the people that work at the vine – that is how I feel every day. How did you start working at Recas Wineries? MP: I was born in Recaş, so I suppose I could say I belong here. I’ve been working for wineries since 1990, even before privatization when AE Recas was here (Agricola Enterprise). Basically, the new owners were my heirs. From 1990 until 2003 I worked in the accounting department. From 2003 until the present day I have been director of the tourism sector. This has been my first and only job, and what matters the most is that I get to talk about wine, and the staff is fantastic. Red: Feteasca Neagra - both because they are Romanian varieties and have the potential to make us look glorious. Keywords for wine: the passion to live. Favorite part of the job: Talking about Recas Wineries and about our wines. Romanian wine consumers ... are becoming more and more educated and informed. CrameRomania.ro is ... an interesting and useful idea for the wine market in Romania, especially for foreign consumers. 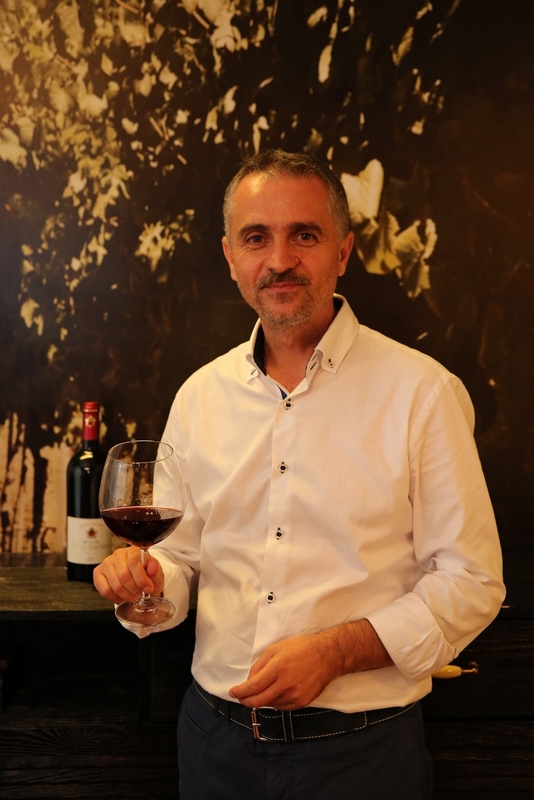 I had the opportunity to work with Marius Pasca and I can say that he is one of the most extraordinary people in the wine industry, but more importantly, he is one of the reasons why there is always such a good mood at the winery. Very well organized, charming, dedicated, but, above all, passionate about what he does, Marius manages to delight any tourist that sets foot into the winery. At the end he said, "Everything I talked to you about isn’t about me, it's about us, Recaş Wineries, and about every person that contributes to the success of our wine."